The Vin Santo is a white dessert liqueur made from a blend of Trebbiano and Malvasia del Chianti. 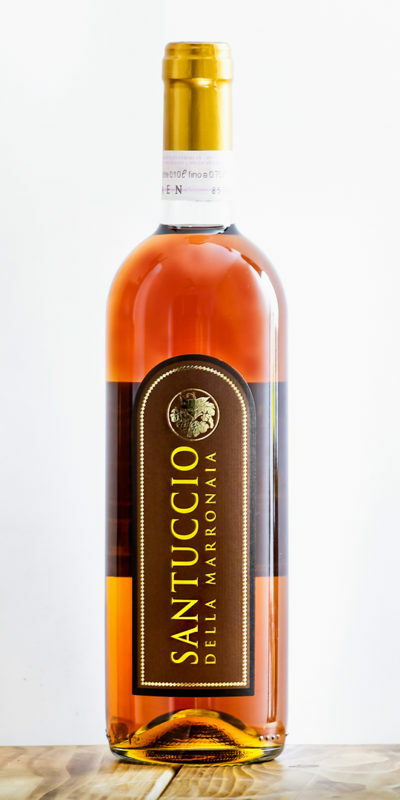 Santuccio della Marronaia Vinsanto is organically grown, aged, and bottled to produce a lingering taste with spicy notes. It is the perfect wine to offer a meal with pastries, preferably typical Tuscan Cantuccini biscuits with almonds.